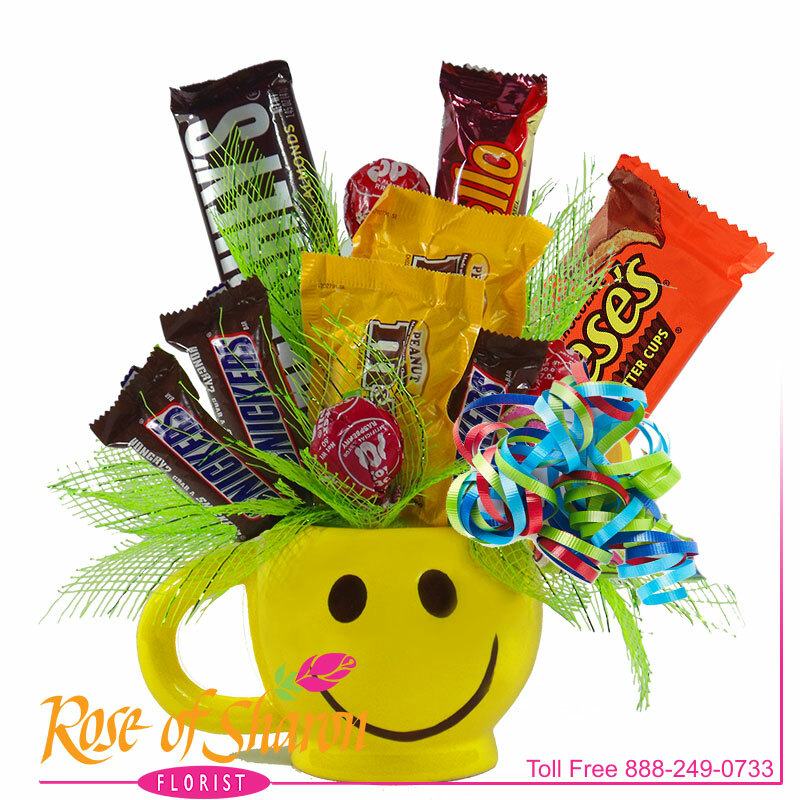 Our always popular Happy Face ceramic mug filled with an assortment of candy bars, mini candy bars and Tootsie Roll Pops. We will do our best to accommodate candy preferences on advance order. Same day orders limited to stock on hand.